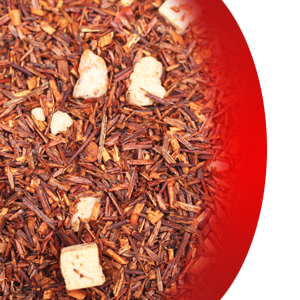 Delicious creamy caramel in combination with a subtle hint of almond on our select Rooibos tea is a tasty treat. This creamy composition has it all: Rooibos, pieces of caramel and almond brittle. Subtle sweetness. High antioxidants.